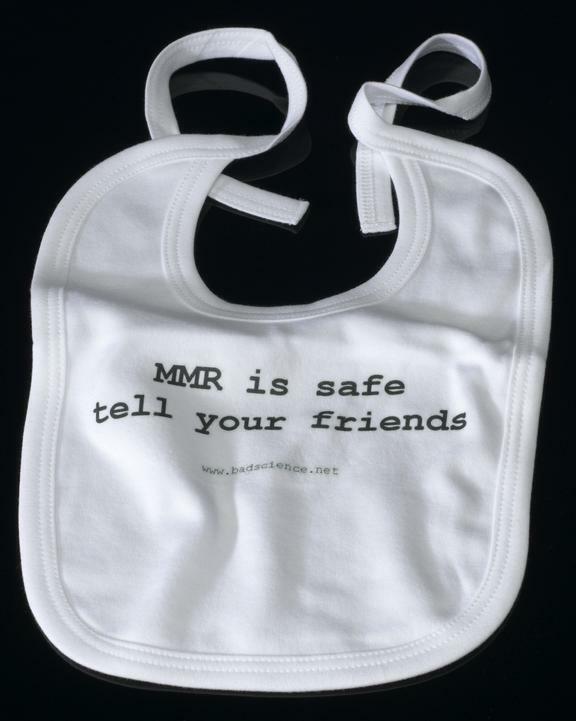 Child's bib printed with "MMR is safe, tell your friends"
White child's cotton bib with printed message: "MMR is safe, tell your friends", from badscience.net, British, 2007. Used to vaccinate children against measles, mumps, and rubella, the MMR vaccine was introduced in 1988 in the United Kingdom. In the late 1990s, a link was suggested between the MMR vaccine and autism. 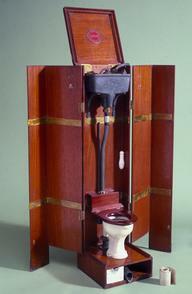 As a result the numbers of combined vaccinations dropped, although the vaccinations were available singly. Recent studies show that there is no evidence to support the link with autism. The bib was sold by 'The Guardian' newspaper’s ‘Bad Science’ columnist, Ben Goldacre.